The Connecticut Department of Energy & Environmental Protection is the home of the DEEP Store. 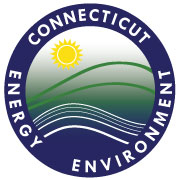 The store's main purpose is to distribute information produced by the Connecticut Geological and Natural History Survey and the Connecticut Department of Energy & Environmental Protection. In addition to our own publications, we carry a wide variety of environmental, Connecticut and regional information.